* Crap is available in bottle if you’re brave enough to order it. ** Yes, as a Chicago native, I know that Denver winters aren’t that cold. But as it was 12 degrees when I landed, and my blood has thinned from a decade and a half in CA, I found my visit to be pretty goddamn frigid! It was a great time for me as well. As usual, time flew by as we solved all of the world’s problems over some micro brews and bar food : ) There’s few things in life I enjoy more than great conversation. As for Falling Rock, though I’m certainly not the connoisseur you are, I have to say the Dry Dock Apricot Blonde was excellent. 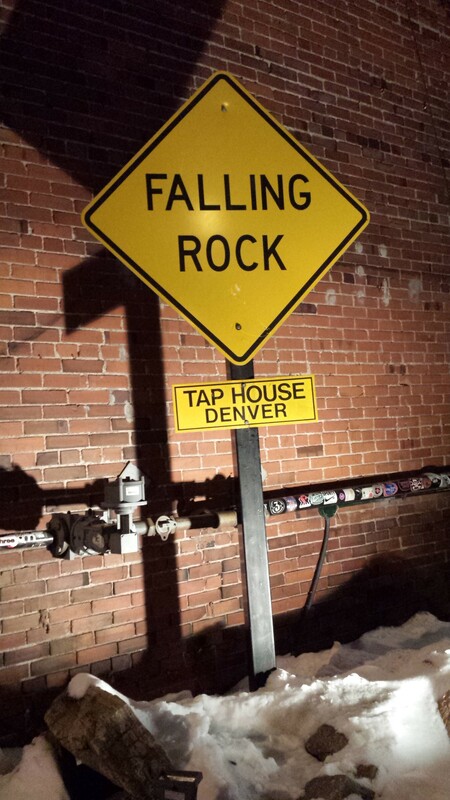 I would highly recommend Falling Rock to anyone who enjoys quality beer who is visiting the LODO area.